Lots of restaurants lure you in with those deliciously crispy baked potatoes. Maybe it’s just my crazy need to over-salt everything that I eat. Maybe the fact that I know once I get into the chamber, I am presented with a carb-filled gift from the gods. Either way, these things are absolutely fantastic! 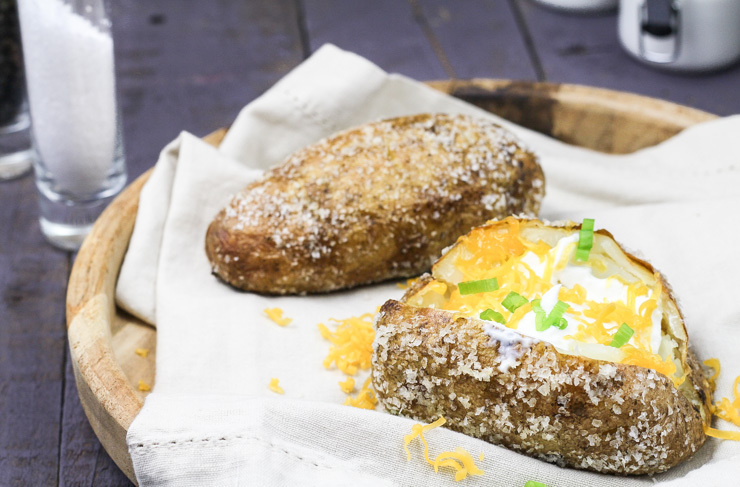 Keep reading to see how simple they are to whip up– Salt Crusted Baked Potatoes. Bring on the salt! — Before you go ballistic on me with the whole “Wooooah now! You will just die if you eat that much salt!”. Moderation, right? I’m not suggesting you inhale these nightly (like I do may…). You can even knock off a bunch of it before you eat it, if you must. 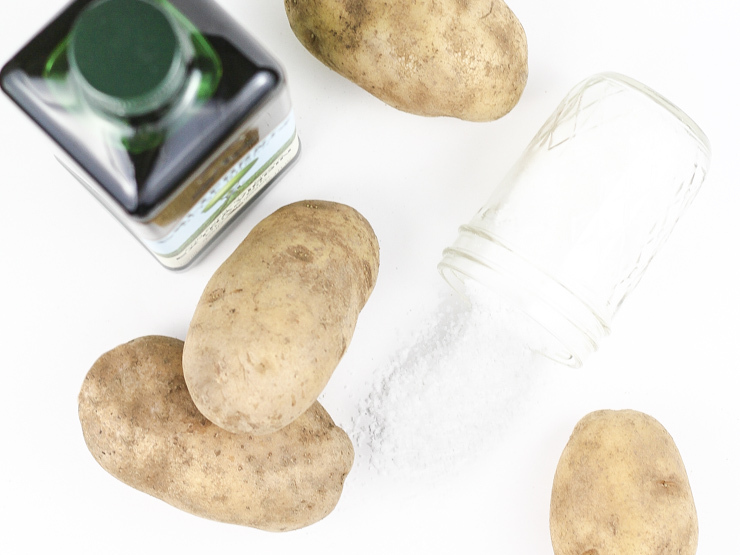 The flavor of the potato will be amazingly fluffy just because you are cooking it with this salt blanket. The best advice I can give you for these spunky spuds is to use the best olive oil that you have. You’d be surprised how easy it is to find quality oil at a decent price. It is totally worth the effort. Did you know that Costco’s EVOO is rated insanely well? Many olive oils aren’t true olive oils and taste like vegetable oil. A good olive oil will have a beautiful peppery flavor in the back of it’s profile. Seriously– Get just one good bottle and you’ll never turn back! 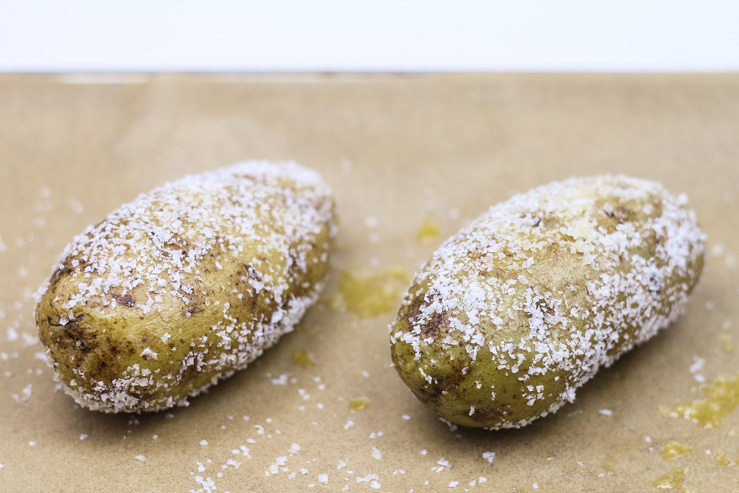 Once you’ve coated the potatoes with the olive oil, you’ll roll it around in some (tons) of salt. Again– use something good! You’ll notice that most eateries use a fine salt to give it a more chunky crust. 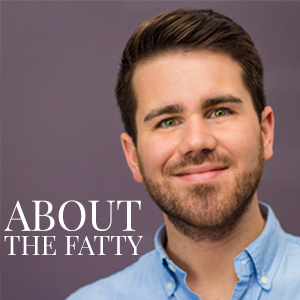 I just used flaked sea salt because I like it and it was in front of me in the kitchen. [PS- You can get good flake salt for like $5. Go. Now.] Use whatever you want as long as it is good quality. Pop these in the oven and then pop your blood pressure medicine. These will come out of the oven as the fluffiest cloud-like potatoes you’ve ever had. You can load them full of toppings (pulled pork is a fav of mine), or just eat them with a bit of butter if you feel like going the minimalist route. 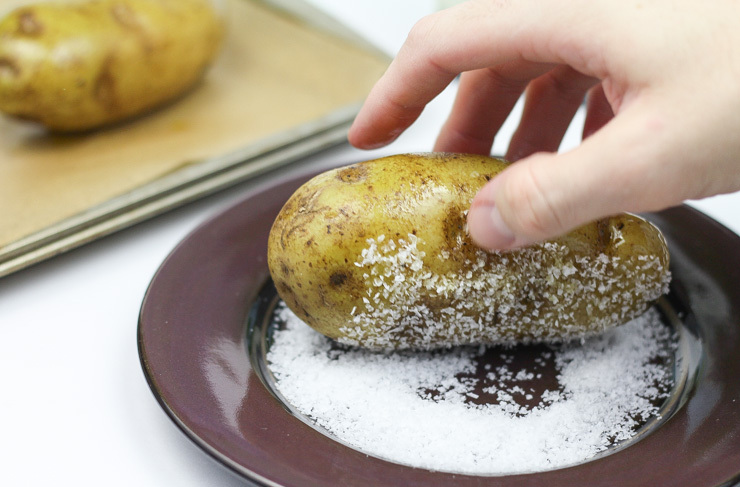 Super simple salt crusted baked potatoes at home! By SouthernFATTY.com. Scrub, wash and dry potatoes. 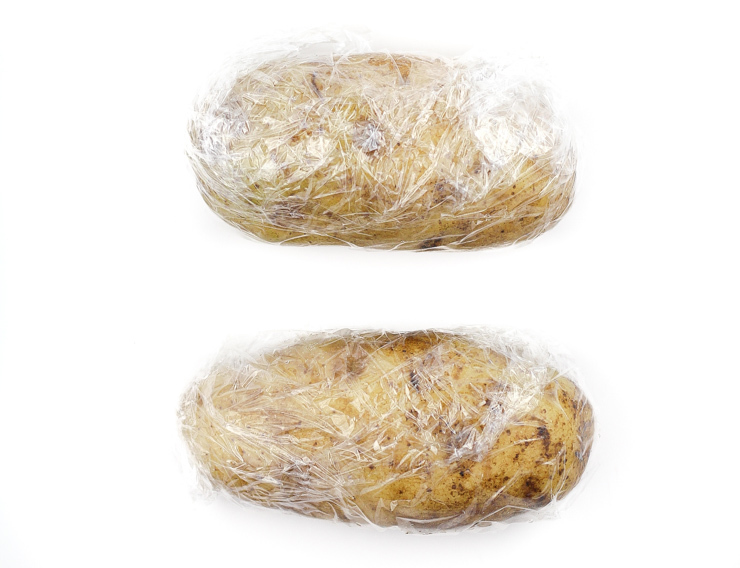 Wrap in plastic wrap, poke with fork or knife and microwave potatoes on high for 4 minutes. This step can be skipped, if desired. Increase baking time to one hour, if so. Remove from microwave and let cool enough to handle. Pour salt onto a small plate and set aside. Rub olive oil completely over potato. Place in oven-safe dish or on baking tray. Are you a potato purist or do you have a favorite topping? Comment below! Killing me with these delicious carbs. OMG. Hey Phillip! I’m a salt-a-holic as well and agree with you on the flaky sea salt. It’s all I use!! Cheers! Throw in a side on steak and I’m in heaven. Nothing! Let me know how it turns out! Holy cow, you’ve really outdone yourself. I just want to reach into the screen and grab these. This is like, literally everything that I want. Lots of salt, olive oil, and potatoes. DAMN IT WHY ARENT THESE IN MY MOUTH RIGHT NOW?!?! PS — your tip about olive oil at Costco is awesome. I’m such an olive oil snob, but I’m gonna give theirs a try the next time I’m out. Have you had Whole Foods’ generic EVOO? They’re my favorite budget option. I mean… This was sooo difficult and all. Pretty much eat them every week now! Nothing worse than a cheap, imitation olive oil. Blaaaaah. I haven’t tried theirs. I will now! I love seafood concoctions in mine! Oooooooohh. Yes! I agree completely. yum!! I love a good crusted baked potato!! Right?! So easy, but solid comfort food.